This video The inaugural Sonoma County Home Brewers Competition at the Petaluma Veteran’s Memorial building on Saturday, May 23, 2015 was provided by Petaluma360.com YouTube page. 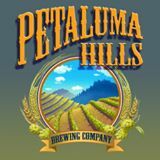 Also see article in Brewers gather in Petaluma to share their suds. Ken Weaver who was one of the judges at this event also authored the The Northern California Craft Beer Guide . You may want one for your collection. We collected some of the best tips from top local breweries to help homebrewers prepare for the 2015 1st Annual Sonoma County Home Brewers Competition. Here are some tips for creating a winning brew. It is imperative that you always be neat and clean. Don’t use bleaches on your equipment because it can cause a chemical reaction with the maltose molecules and end in a nasty flavor. Even a slight drop of bleach can destroy an entire batch of a perfect brew. There are so many cleaners and sanitizers available in the market, but you can purchase an inexpensive vodka which does the job just fine as a sanitizer. You can also use vodka in your airlock instead of water. Keep some vodka handy in a spray mist bottle so you can also use it on your equipment on the fly. To keep your bottles clean use a large cooler that can hold as many as 48 beer bottles. Fill it with 6 – 7 gallons of water with the plug near a drain or sink. Add some no-rinse sanitizer. Sink your bottles neck up until they fill with water to the point they stop floating. You may need to add more water and sanitizer to get larger sized bottles submerged. Leave them there until you are ready for bottling process. Pull the plug to discard the water. Bonus tip on bottling from Bob Peak at The Beverage People Santa Rosa: When using a bottle filler without a spring in the tip, put a wooden spoon under your bottling bucket with the handle sticking out over the edge of the counter. Loop the hose over it, hanging the filler in the “off” position while capping a few bottles or getting a new case.